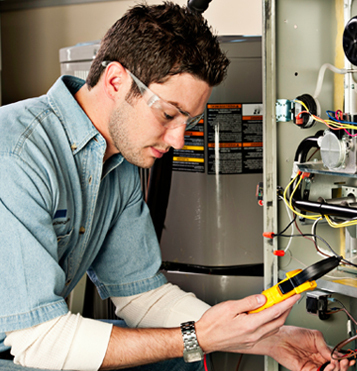 Capital Air Balance provides air balancing, system testing, air quality testing, and HVAC commissioning services. We qualify, test, and insure air quality, HVAC systems integrity, and energy performance to engineering design specifications. Capital Air Balance is the only AABC certified air balancing agency in the state of Mississippi. Our licensed and certified agents work across vertical categories including government, industrial, hospitality, and commercial. We prevent your HVAC system from under performing, creating condensation, creating pressure or vacuum zones, being inconsistent with thermostats, and from creating potentially hazardous conditions where mold and mildew thrive. We work with common installations as well as critical systems installations like those required by hospitals, data centers, and humidity controlled environments that cannot go down. Whether you are planning to install a new HVAC system or need to rethink your existing system, we can help insure you have a properly balanced, safe system that provides the greatest energy efficiency and comfort. Capital Air Balance is certified by the Associated Air Balance Council (AABC). AABC establishes industry standards for the field measurement and documentation of HVAC systems and provides education, technical training, and certification for its members. Once a company is approved for AABC membership by the Board of Directors and has at least one individual successfully pass the Test and Balance Engineer (TBE) exam, that agency officially becomes an AABC-Certified Member Agency. Every employee at Capital Air Balance is TBE certified. The TBE is ultimately responsible or overseeing technical operations of the company, reviewing and certifying test and balance reports, and providing supervision of training technicians. Capital Air Balance is also certified by the AABC Commissioning Group (ACG). ACG strives to promote a better understanding of the commissioning process by educations, training, and certifying qualified individuals as Certified Commissioning Authorities and Certified Commissioning Technicians.